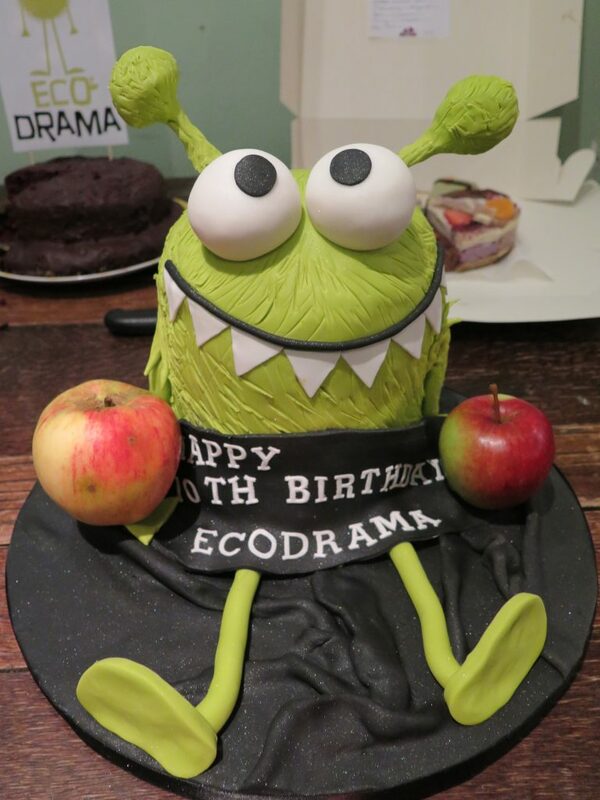 Eco Drama was founded in September 2007, and in September 2017 we celebrate our 10th Birthday, a milestone which we are really proud to have reached. To mark the occasion we celebrated on Friday 15th September at the CCA in Glasgow with lots of cake and a fantastic turn out of creative collaborators past and present, taking the time to celebrate and reflect on the company’s journey over the past 10 years from 2007 – 2017. Eco Drama has reached 66,600 children, young people, teachers, parents and wider communities across Scotland with our work, and counting. As of 2017, we have now worked in every authority throughout Scotland, and have visited most of Scotland’s islands including visits to Shetland, Orkney, the Outer Hebridies and the Isles of Eigg, Islay, Mull, Tiree, Gigha and Bute. We’ve worked with over 650 schools and nurseries. We have created: 5 theatre productions – The Isle of Egg, The Forgotten Orchard, The Worm – An Underground Adventure, The Worm Inspectors and Uprooted; 3 creative learning workshops – Recycling Heroes, Eco Gadgets and The Oil of Life, plus 3 Teacher Training CPD workshops including Orchard Training in association with the Appletreeman; 3 community and creative learning projects: the Eco Drama Group, Townhead Community Orchard and our most current project Out to Play, advancing the role of drama and storytelling in outdoor learning. We have planted 43 school orchards across Greater Glasgow and 1 community orchard in Townhead in Glasgow City Centre, with a total of 171 Scottish heritage apple trees. We achieved our goal of touring our theatre productions in a van run on 100% recycled vegetable oil, reducing our touring emissions by 85%. We achieved our goal of touring our workshops and small productions in a 100% electric car. We’ve reduced C02 through the touring of our work, but also from the positive behaviour changes made by participants through positive actions such as growing food from seed, planting trees, keeping school wormeries and recycling food waste, and making positive behaviour changes in relation to energy, travel and waste behaviours. We’ve won 6 awards that recognize our commitment to communicating about sustainability in creative and innovative ways, including our most recent award in 2016 – a Streets Ahead Award for Best Environmental Initiative for our Out to Play project and Uprooted/Living Stage production. We created Scotland’s first ‘Living Stage’ for Uprooted – a bio-degradable, recyclable and edible theatre set grown by school pupils across Glasgow. There have now been Living Stages created in Australia, Wales, Scotland and most recently New York, a concept championed by Australian designer and eco scenographer Tanja Beer. Of all of the stages created so far, Eco Drama were the only theatre company to create a mobile Living Stage that was able to tour – it was no mean feat but we did it and moved the plants responsibly around the schools and venues across Glasgow, and without any plant casualties! Co-devising and co-performing with plants is still up there as one of our top achievements. 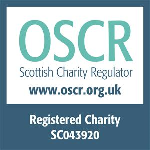 We’ve had articles published about our work in publications and magazines such as the Times Educational Supplement, Children in Scotland, Teach Primary magazine and the Environmental Education Journal. We’ve created an Out to Play Resource Pack which teachers, councils and educators across Scotland are utilising. We’ve performed at the Edinburgh Fringe with The Worm – An Underground Adventure to 4 & 5 star reviews. Our theatre productions have been booked in venues across Scotland including Dundee Rep, Woodend Barn, The Byre, Eastwood Park Theatre, Platform, Royal Botanic Gardens Edinburgh and the Edinburgh International Science Festival. We have also been part of the Puppet Animation Festival in 2015, 2016 and will be again in 2018. We’ve been proud to be part of the Scottish orchard revival movement with our play The Forgotten Orchard, performing the show in schools, community venues, theatres and at Harvest Festivals and Apple Days across the country. We are proud to have contributed to the planting of apple trees across Greater Glasgow, marrying up the theatre experience with practical action for the environment. Eco Drama has worked with a total of 55 creative collaborators in the last 10 years, including some of Scotland’s best performers, devisors, musicians, dancers, drama specialists, storytellers, workshop leaders, designers, makers and dramaturgs, not to mention a fantastic team of core office staff, incredibly supportive Board members, plus graphic designers, web designers, illustrators, photographers, stage managers, horticulturists and permaculturists. Eco Drama would not exist or have achieved these milestones without these people. Eco Drama is privileged to work with children, young people, schools and communities across the country. By working with a cross-section of communities, across councils and geographic areas, from cities to remote and rural areas of Scotland, we are lucky to get a feel for how Scotland’s education system, and communities, are approaching sustainability and sustainable development education. We can say with absolute confidence that there has been a definite shift and increase in ecological consciousness in the last 10 years; a rise in positive behaviour changes and attitudes towards the environment, and a greater empathy for our natural world. There are lots of wonderful eco initiatives happening in schools and communities across the country and as an example; so many schools now have fantastic, inspiring growing spaces in their playgrounds. There’s clearer learning and teaching happening in this area and being ‘eco friendly’ feels like something much more embedded and part of the every day. This has probably been the most encouraging thing. Seeing change happen and being part of this wider collective movement in Scotland. There’s still much to do however, and as we look to the next 10 years, Eco Drama hopes to continue responding to the needs of schools, communities and our environment. So what are our plans for the next 10 years? More quality theatre for young audiences and more creative learning projects that inspire and engage about our natural world. More practical action for the environment. On this special birthday milestone, Eco Drama would like to thank all of its collaborators from the past 10 years for contributing in such a valuable way to the aims and objectives of the organisation, and to our audiences, participants, supporters and funders. Onward to the next 10 years!